Three plates with different patterns. The oval shape plate can be used on any occasions for any purposes. 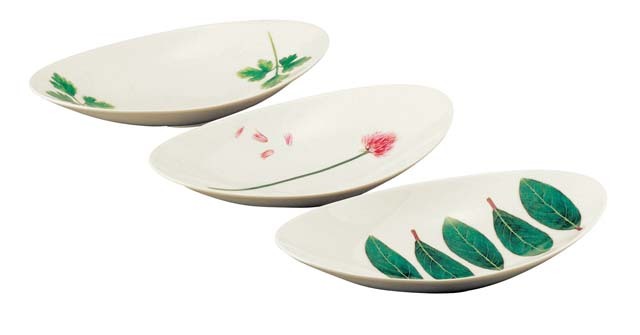 The flower and plant prints of the plates will give extra joy to the food. Ideal item for wedding gifts, birthday gifts, etc. KOKESHI — Japanese Kawaii Dolls!